I just had to take a minute to give a shout out to the maker of this fabulous salad dressing. It's my current fave - Cherry Maple Vinaigrette. I pick it up when I stop at Casey's Gourmet Market in Naperville. 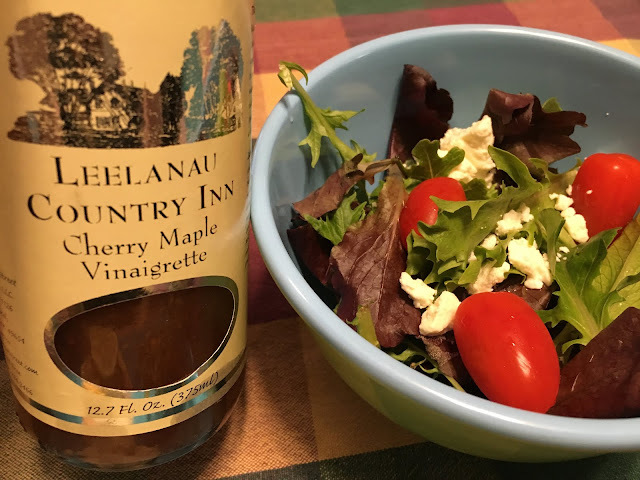 I looked around online to try and find it and came across a French dressing by Leelanau Country Inn that had a great review from Plum Market. I found a Leelanau Country Inn in Maple City, Michigan, but it looks as if it was renamed in recent years. Not sure if this is where that originated, but I know I love it. The French dressing is the best I have ever had. The production of this dressing has been spotty over the past 10 years. Great to know it is back.